Thank you so much for this! I asked this Question almost a year ago, and have been wondering about it ever since the microwave version of the EM drive came out years ago. The answers in http://physics.stackexchange.com/questions/129799/wavelength-and-frustum-shaped-resonant-cavity are incorrect regarding your question of a closed truncated cone resonating with standing electromagnetic waves. (Obviously electromagnetic resonance must obey Maxwell's equations, and it does not correspond to acoustic resonance). Exact solutions can, and have been obtained, starting by the great Russian/American electrical engineer/scientist Schelkunoff in the late 1930's http://en.wikipedia.org/wiki/Sergei_Alexander_Schelkunoff who was at Bell Labs. I have obtained an exact solution for arbitrarily changing electromagnetic fields in the transverse direction that compares excellently with NASA's results using the Finite Element program COMSOL. I have published several results earlier in the thread, including the Poynting vector (Poynting vector results which I have not seen elsewhere in the literature, either numerically or by exact solution). The important thing for the truncated cone (besides obvious feature like modes are progressively cutoff depending on the cone angle) is that the truncated cone presents features like attenuation and focusing in the longitudinal direction that are completely absent in the cylindrical resonant cavity. See attached below the enclosed Power Point file for the Poynting vector fields for the electromagnetic mode (similar to TM212 of cylindrical cavities) without a dielectric polymer inserted in the cavity. Yes, Prof. Freeman Dyson used to be the President of the Space Studies Institute, he was a member of the Board of Trustees as of 2013. The Space Studies Institute was founded by Gerard K. O'Neill . 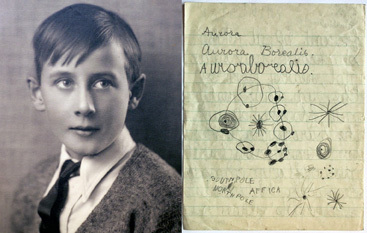 O'Neill (diagnosed with terminal leukemia) directed his Space Studies Institute to continue his efforts "until people are living and working in space". After G. O'Neill's death, management of SSI was passed to his son Roger O'Neill and Prof. Freeman Dyson. Thanks so much for that great post. It would be interesting to know whether Prof. Freeman Dyson knows about Prof. Woodward's work (*) on the Mach Effect and/or about Dr. White's work on a mutable Quantum Vacuum, and if he does, what does Prof. Dyson think about those conjectures. I have tried to find out in the literature and I don't see anything that Dyson has published in this regard. I did see that Dyson wrote that he believed that NASA's big and visible projects, the Shuttle and the Space Station, will in the future "appear as quaint and misguided gargantuan ventures in the wrong direction, the von Hindenbergs and Titanics of the late 20th century" and that manned spaceflight will use new launch technologies that will make chemical rockets seem absurdly inefficient. (*) I cannot assume necessary agreement, since for example, Prof. Freeman Dyson wrote in his paper "Pilgrims, Saints, and Spacemen" that he disagreed with G.K. O'Neill on the economic viability of some of O'Neill's concepts. This although they were great partners, as proven by the fact that O'Neill asked Freeman Dyson to carry on the responsibilities of the Space Studies Institute. Thanks so much for that great post. It would be interesting to know whether Prof. Freeman Dyson knows about Prof. Woodward's work (*) on the Mach Effect and/or about Dr. White's work on a mutable and degradable Quantum Vacuum, and if he does, what does Prof. Dyson think about those conjectures. I have tried to find out in the literature and I don't see anything that Dyson has published in this regard. I've not discussed our support of Prof. Woodward's work with Prof. Dyson, since it is such a tiny part of our activities. So no endorsement is expressed or implied. I do know he knows about Dr. Sonny White's efforts. I've known Freeman for probably close onto 40 years and I highly respect him, and generally find it politic never to disagree with him, as I'm likely to be on the wrong side of that argument. I generally agree that some of Gerry's concepts and strategies were flawed. (Bog knows that same can be said of many of my ideas...) But both Freeman and SSI like innovation, and are willing to follow data wherever it leads, so I've felt comfortable in starting up the initiative on my own recognizance, as it were. If we don't try and get to the bottom of this sort of thing, who else will? is the position I'm taking. The main SSI effort has to remain focused on our G-Lab concept, which I believe to be crucial to the question of whether or not we can permanently live, work and reproduce off Earth. But when dedicated and directed gifts are made to SSI for the EPI, I'll see that they get to the researchers doing real work. In the meantime, I welcome the conversation that this forum has encouraged, and compliment all of the participants on their impressive efforts to understand a fascinating phenomena. I saw a demo of that mass driver during the MIT open house. (1979 I think) Very impressive! The person demonstrating it - may have been Gerard K. O'Neill himself - started charging the capacitor banks then decided to open them to show the audience. For safety reasons he shorted the hot side with a big shepard's crook style grounding rod. There was a very loud report and bright flash as an inch of the rod got vaporized! That got everyone's attention. The Bitter Lab did a lot of interesting work. Too bad they lost their federal funding; but that's politics. Hello all, as one of the commenters earlier in this thread suggested, I am one of the many Reddit users that has found amazing fascination in this thread. While I have no scientific opinions to add to this conversation, and while 85% of the conversations I've read through here have done well to send me into a swath of migraines and feelings of utter intellectual inferiority, I have one things to say. Thank you. Though I may not understand much of what is being tossed back and forth here, what I do understand, has done so much to increase my excitement and astonishment of the science that is happening. Please, keep this conversation going. I look forward to reading (what I can) and keeping up with what you are doing, hypothesizing, and proofing with all subjects related to this EM drive. Don't be so quick to dismiss yourself here. I have read both of these threads from the beginning. Over that time, a rather large array of knowledge and skill sets has been called upon. For example: Not that long ago, an artist played a key role in determining the dimensions for one of Shawyer's devices - and precise dimensions are crucial here. You may not know the science, but you may know something else of value. And on occasion, even ideas tossed forth from the peanut gallery are found to have a bit of merit. Lets this be warning how could be earthside test deceiving. balance test is at the end of video. Of course none of this would function in zeroG. The motion has been understood for a century. Its explanation is addressed in vibration courses (for example, in the old classic books by Prof. Den Hartog, predating WWII): it is due to the nonlinearity of the stick-slip friction relationship. It is the same reason why screws (that are not spring-loaded or adhered with thread-locking adhesive) come loose under vibratory motion in moving vehicles, for example. These examples do not show that one must perform EM Drive (or other sensitive) experiments in outer Space. 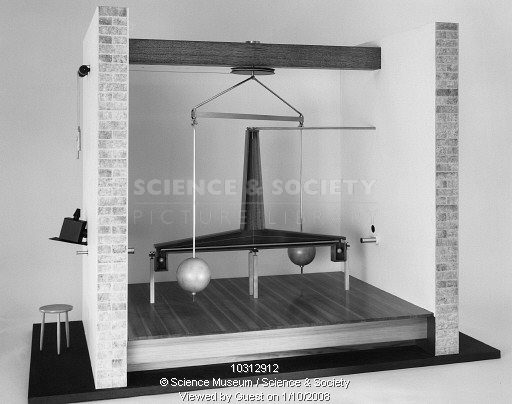 Cavendish, for example, measured the force of gravity between small spherical masses in a rudimentary laboratory more than 200 years ago ( http://en.wikipedia.org/wiki/Cavendish_experiment ). Thus Cavendish produced accurate values for the universal gravitational constant G, using a torsional balance, without having to wait to perform expensive measurements in Space 200 years later. If the purpose of the examples is instead to warn about stick-slip friction and vibration in the EM Drive experiments performed at NASA Eagleworks, then it would be good to follow up by pointing out what evidence is there of mechanical vibration and stick-slip frictional motion in the NASA Eagleworks experiments. (*) And of course, the International Space Station and near-Earth satellites are also under near the same gravitational force as the gravitational force present at the surface of the Earth, the main difference is that the ISS and satellites are in free-falling orbits. Performing an experiment inside the ISS is identical to performing an experiment inside a free falling elevator, near the surface of the Earth, the difference is the practical duration of the experiment. As far as I understand, we are trying to get the microwaves resonate within the copper device, similar to blowing a pipe by more or less accurately finding the resonance frequency with our emitters, which are generating scattered waves. Would we get more refined or different results, if we could MASER's instead? An alternative would be to perform the experiment on one of NASA's Reduced Gravity Program aircraft (aka the vomit comet, one of the best nicknames I've come across.) The difficult remains, however, that getting space aboard for an experiment would likely require more confirmation from their existing experiments. Cavendish,measured the force of gravity between small spherical masses in a rudimentary laboratory more than 200 years ago ( http://en.wikipedia.org/wiki/Cavendish_experiment ). Thus Cavendish produced accurate values for the universal gravitational constant G, using a torsional balance, without having to wait to perform expensive measurements in Space, or in aircraft performing a parabolic maneuver, 200 years later. NASA, MIT, CalTech, Stanford, Princeton, etc. have been routinely testing space propulsion drives (including ion thrusters), very accurately, here on Earth-laboratories for decades. So, we'll have our article on the EM Drive - expertly and patiently built by Dr. Rodal and subedited by my assistant editor Chris Gebhardt - published on Wednesday. Great news! Well let me be the first on here to thank Dr Rodal for writing the article and also for his astounding contributions to this thread, which have kept everything scientifically grounded. Is it to say that when the spectrum is broader the initial slope on thrust chart is steeper ? Yes. It appears that more thrust is generated with wider (FM) and larger (AM) signal sideband modulations. We have not quantified this observation yet, so I can't given you numeric relationship between thrust and modulation levels yet. Why is all research so focussed on the powered thrust, rather than on the increasing opposite-direction acceleration which continues even after you turn the power off, which is visible in the graphs? The latter is far more amazing: it means that after you charge your drive for a few seconds, it just takes off, with an increasing acceleration, in the opposite direction. The other question is: is there any work towards creating a battery powered, timer operated test article which can actually be enclosed in a sealed box with permalloy shielding? This would not only eliminate the interactions between the test article and the cavity, but would also permit running your RF amplifier at the ambient pressure. Using MASER technology is an interesting idea. There are several issues here for you to think about. One issue is that the EM Drive experimental results are not yet consistent, repeatable enough and that there is no consensus on an operating theory for the origin of the measurements. If you adopt Dr. White's mutable, degradable QV conjecture then the results of his latest computational analysis, is that "more thrust is generated with wider (FM) and larger (AM) signal sideband modulations". That seems to be the opposite of what one would get from a MASER, which is coherent radiation. @Mulletron, @NotSoSureOfIt, and others, is there an operating theory for the EM Drive that would support the use of a MASER ? Also, the MASER would necessitate the introduction of a gas (unless you are thinking of a solid state maser), and the complexity of a MASER would be much higher, hence needing substantially more money and time than what NASA Eagleworks has had up to now (please consider that the truncated EM Drives where made at Paul March's living room by himself, as I understand). Therefore substantial justification would be needed to use a maser. Please remember that our copper frustum has a baked on silicone PCB anti-oxidation ~0.001" thick coating on its interior surfaces to keep the copper surfaces from oxidizing and thus lowering its Q-factor over time. This fact didn't get much discussion here. Considering that Eagleworks reported no thrust from an unloaded cavity and the reports that Shawyer abandoned using dielectrics and the Chinese made no mention of using dielectrics, and reported thrust; this deserves discussion. Is there any evidence which support any other team using such coatings? Still thinking about our nonlinear surface discussion from the other day. Edit: What I'm getting at here is that Shawyer/Chinese report thrust from unloaded cavities (no dielectric inserts) yet Eagleworks reports no thrust from an unloaded cavity. Eagleworks has the silicone PCB anti-oxidation ~0.001" thick coating, and I bet dollars to donuts the others don't. All three cavities have air present as the dielectric, which has been shown by experiment to exhibit magnetoelectric nonreciprocity under crossed electric and magnetic fields*, **, but as was pointed out by Dr. Rodal, that isn't enough, nonlinearity is also required. The coating might be the culprit. ** And researchers predict momentum transfer from the Quantum Vacuum under that circumstance. Turns out that the first two oxides of copper have a k of 18.1. One where the test apparatus is timer operated, battery powered and entirely enclosed in a permalloy-shielded, hermetically sealed container, and where there are no on-going (and changing) zero drifts of greater magnitude than the claimed forces, would demonstrate it far more tangibly than what has been done so far. It would also allow to run the RF amplifier at an ambient pressure, and it would allow to use a far simpler, cheaper experimental set up. The exact lab set up of Henry Cavendish worked without any vacuum, down to 0.2 micronewtons or less, AFAIK. You see, this is what bothers me the most. The operator turning the knob can be easily replaced with an Arduino and a handful of lines of code. The in-vacuum testing is very expensive in comparison, and only eliminates one conventional-physics force out of a dozen forces acting between the test article and the chamber walls. At the very minimum, you need a test set up such that conventionally-interacting devices (such as a computer fan, a servo moving a weight around, a wire loop under current, a sharp point at high voltage) would not be able to generate enormously larger forces than your test article. The set up must be such that you can't whip up in an afternoon a "drive" that would pass the test by doing something perfectly normal with the laws of physics as we know them. The only way to come close to accomplishing this is to completely enclose the test article.